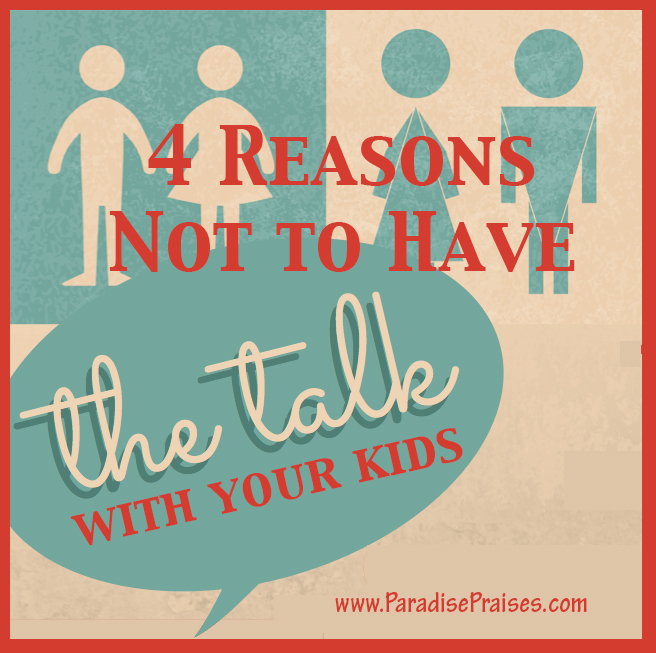 Can you imagine having three short years with your child to teach the most important life lessons? I’m talking about from birth to our child’s fourth birthday. We can’t imagine how we can get everything stuffed in that little mind and heart. I know can’t. Furthermore, what do we teach? Reading? Counting? Manners? How to make the bed? What is it our children will need to be successful in their life? Oh my, how do we make that decision? Hannah faced that very situation. She was barren, not a pleasant thing in Old Testament times, and pleaded to God to have a son (note she is specific in her request). Hannah promised to give her son to God for his service. As most of us know, God did indeed give Hannah a son (1 Samuel). As soon as she realized she was pregnant, Hannah knew her time with her son would be limited. Samuel would be taken to the temple when he was weaned. Many resources say weaning was at about the age of four. That’s three years of loving and teaching her child. There’s no record of what Hannah taught her child. We don’t know what curriculum she used or how she planned lessons. We do know there were no field trips because they didn’t make the annual trip to the temple. Hold on a minute? Do we really think Hannah concerned herself with Hebrew lessons or math facts? I think not. We learn from the records of Samuel’s young life that he had learned about God and about service. To know what to teach our little ones, let’s look at God’s word. 2 Tim. 1:5 – I am reminded of your sincere faith, a faith that dwelt first in your grandmother Lois and your mother Eunice and now, I am sure, dwells in you as well. Matt. 19:19 – Honor your father and mother, and, You shall love your neighbor as yourself. Jesus tells us loving our neighbors ranks right up there with honoring parents. This is taught with actions. I could give you a list of more than fifty ways to love even an unlovable neighbor. Our wee ones can take part when we take over a plate of cookies or pick up the newspaper out of the gutter or pray for the person by name. These actions instill love in our children and in us. Deut. 6:6-7 – And these words that I command you today shall be on your heart. You shall teach them diligently to your children, and shall talk of them when you sit in your house, and when you walk by the way, and when you lie down, and when you rise. This is often called the homeschool verse. 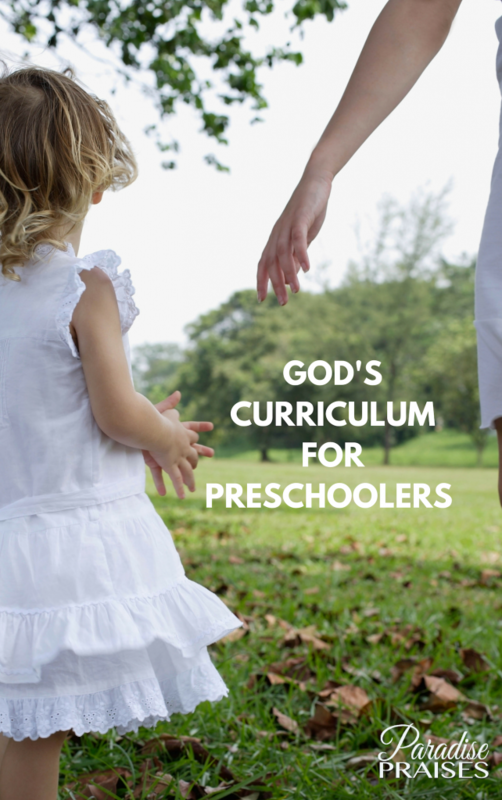 It isn’t necessary to homeschool daily and hourly to live God’s commands, so our preschoolers can learn them. The curriculum is God’s Word. While we can read it to our children, we are primarily the ones who should study the Scripture. Then we are able to model his commands. How can our little ones have the training that Hannah gave Samuel if we don’t start with his commands? These are ongoing lessons, which will stay with children into adulthood. Samuel later heard the voice of God because he had been taught to listen for it by his mother. Pro. 31:26 – She opens her mouth with wisdom, and the teaching of kindness is on her tongue. Luke 2:51 – And he went down with them and came to Nazareth and was submissive to them. And his mother treasured up all these things in her heart. A quick review: Joseph, Mary, and Jesus went to Jerusalem for Passover. Jesus didn’t start the journey back with the caravan. When his parents found him still at the temple, Jesus obeyed, went home with his family, and continued to live under their teaching. What did Mary do when Jesus went with his parents that day? She saved the memories. She remembered the good behavior, not the bad. She enjoys the little moments. I know it’s hard to find the pleasant memory the first time we find our favorite eyeshadow used for a drawing project on the mirror. Take a moment. Remember that picture your child carefully drew before jumping right into to clean up and discipline. When that little one becomes an animator for a major movie, what do you want to remember the picture or the upset? We don’t have to create events, snap a photo, or share on social media. It’s not the big birthday party that our children will remember; it’s our presences. If we treasure our children, they will treasure what we teach. Pro. 22:15 – Folly is bound up in the heart of a child, but the rod of discipline drives it far from him. Pro. 29:15 The rod and reproof give wisdom, but a child left to himself brings shame to his mother. These two verses cause problems in our society. So much so we parents fear having our children removed from our homes or even serving time in jail for spanking. God tells us discipline is necessary for wisdom and to drive out foolishness. Whether you choose to use a paddle or not, discipline needs to start early in our training program. For those of us who need a teacher’s guide, here it is. What better curriculum? I don’t know of one. If we can teach these things to our young children, they will be successful. Why? Because they will have the character qualities need to learn, work, love others, and serve God. Being a mom is a ministry. Read more. Known for practical solutions to real-world situations, Susan K. Stewart is a teacher, writer, and speaker. Susan is the author of three books, including Preschool: At What Cost?, Science in the Kitchen: Fearless Science at Home for All Ages, the award-winning Formatting e-Books for Writers and soon-to-be-released Harried Homeschoolers Handbook. The Stewarts live in Central Texas with their three dogs, three cats, nine chickens, and a donkey. They have three children and five grandchildren. You can read more of Susan’s practical solutions at http://www.practicalinspirations.com.